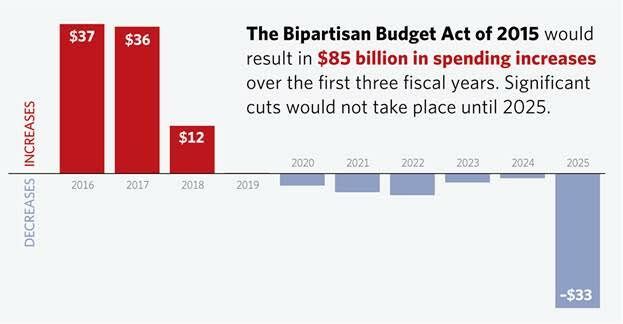 The Bipartisan Budget Act of 2015 would result in $85 billion in spending increases over the first three fiscal years. Significant cuts would not take place until 2025. Paul Winfree is the director of the Thomas A. Roe Institute for Economic Studies at The Heritage Foundation.